At our our Art Combo class students are introduced to various artists and styles. 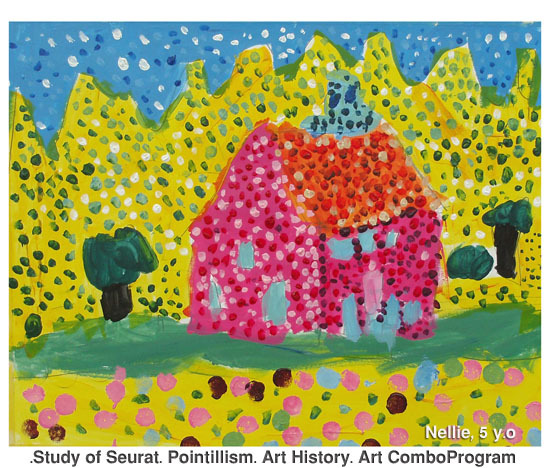 August and September assignments were based on the study of Poitillism and artists such as Georges-Pierre Seurat, Henri-Edmond Cross, John Roy Vincent van Gough. 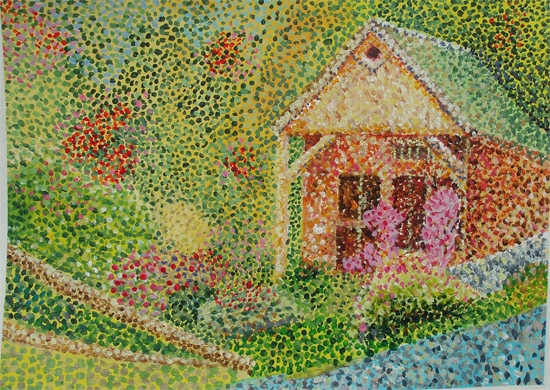 Poinilism is a style of painting in which small distinct dots of color create the impression of a wide selection of other colors and blending. 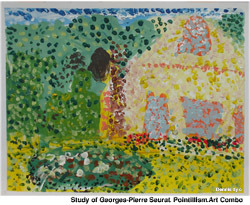 The practical assignment was influenced by Seurat artworks.